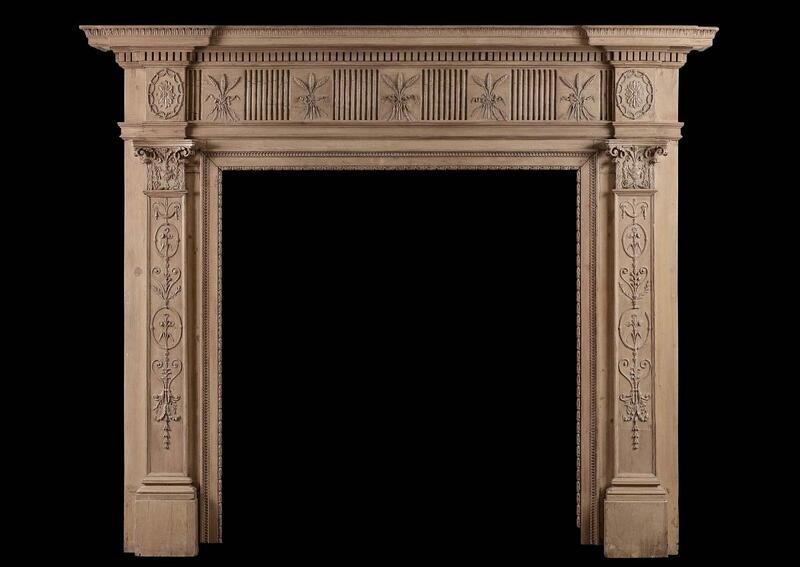 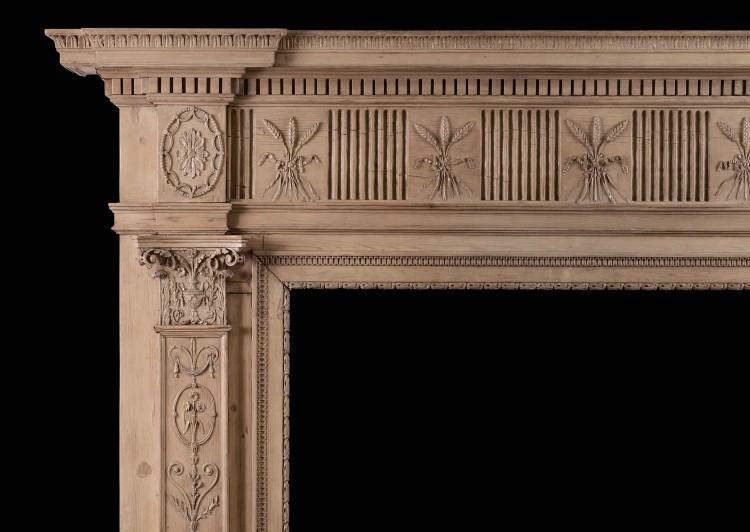 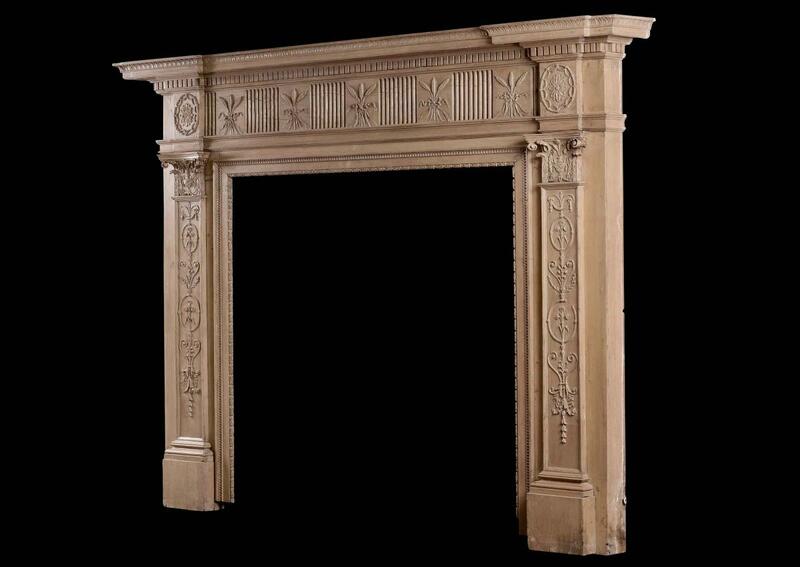 A very fine period 18th century pine fireplace in the Adam style. 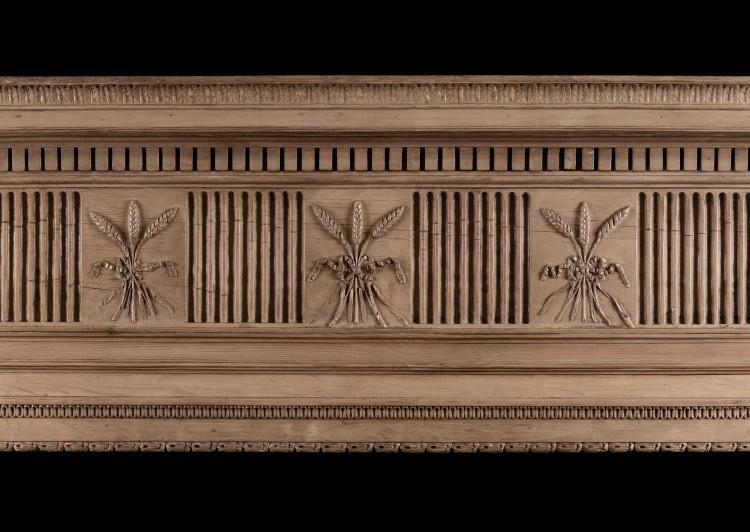 The frieze with carved wheat husks tied with ribbon interspersed with fluting, with decorative rosette paterae to end blockings. 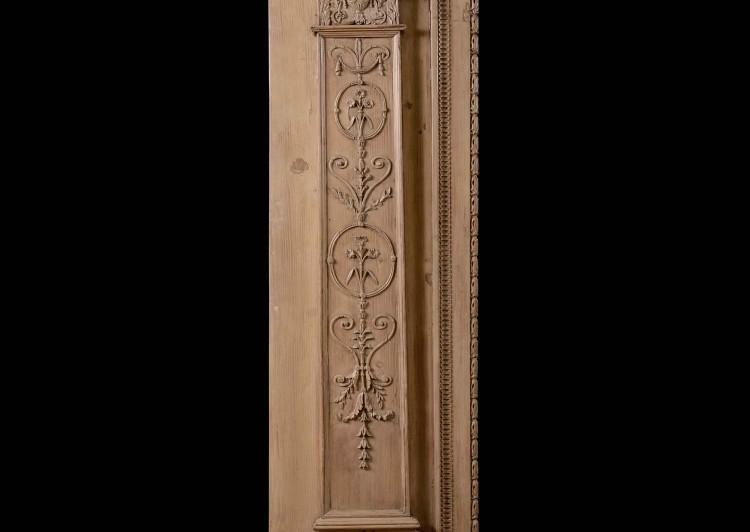 The jambs with carved bellflowers, scrollwork and flowers, surmounted by finely carved urns and foliage. The shelf with dentils and stiff acanthus leaves throughout.